Absolutely stunning 3BR/2BA/2 car garage home in the heart of Spring Hill. Sitting on almost a Â¼ acre with NO HOA & NO CDD this home has the serenity & feel of the countryside, with all the conveniences of a modern 2005 built block home. 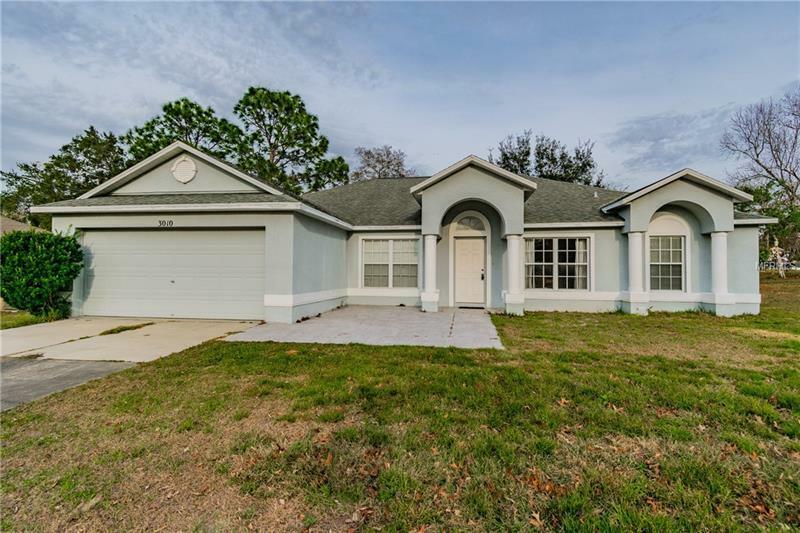 This modern open floor plan home has been fully updated w/ gorgeous Laminate flooring throughout all of the common areas, a custom-built office (which can be converted in to a 4th bedroom) & high vaulted ceilings. The kitchen is large and features, hardwood cabinetry, a full-sized breakfast-bar, large pantry and opens up to the formal dining area, living room, and outside patio & fully fenced large lot. The master bedroom features a walk-in closet, his-and-hers sinks, oversized soaking tub and separate shower. Truly a rare find in this beautiful area!